Allied Plastics Co. Inc., the Table Company headquartered in Jacksonville, Florida, has been in business since 1945. 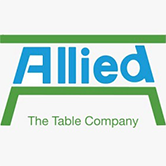 Allied’s custom orders and ready-to-ship inventory includes a full range of school activity tables (pre-K through adult) as well as library tables, science tables, folding tables, computer tables and workstations, food service tables, conference tables, training tables and classroom furniture. And with Allied’s full 30 year warranty on all products, you can be sure that Allied is the clear choice for your school, office and food service table needs. Boss Office Products is an industry leader in office case-good and seating products. Their catalog consists of desk units, lobby furniture, conference room seating and tables, office and guest seating. Boss Products are backed by a 1-year warranty on case-goods and 6 year warranty on chairs. Comfor Tek Seating is a manufacturer of high quality seating solutions serving the Health Care, Home Care, Hospitality, Worship and Senior Living environments. Correll was established in 1969 and has been in business for close to 50 years. With their innovative new product lines, and the largest selection of tables, including, folding Tables, activity tables, science and lab tables, breakroom and training tables, now, more than ever, you can count on Correll for your table needs. Diversified Woodcrafts started in 1975 and now, with over 40 years of building quality furniture, they are the industry leader in educational furniture and casework. Specializing in wood, lab and science case-goods. If you visit schools throughout the country, chances are you’ll find Diversified Woodcrafts desks, tables, cabinets and more! Ghent Visual Communications has the solution for you.Whether you are looking for glassboards for your conference room, personal dry erase boards for office spaces, large whiteboards for your classroom, tracking boards for a manufacturing environment, bulletin boards to post announcements or a mobile board that works to divide space, we have a visual communication solution for you. HON didn’t become the most recognized name in office furniture overnight. Since 1944 their products have helped doers like you achieve more workday victories. 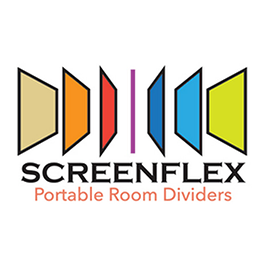 Providing quality case-goods, chairs, file systems and educational furnishings, they will help you work smarter, more comfortably and on your terms. Since 1941, KI has positioned themselves as the contract furniture company that best understands the contract furniture industry and is committed to providing customers with the smart solutions. By targeting specific markets with solutions for business furniture, university furniture, educational furniture, healthcare furniture and government furniture, they can quickly respond to your’ unique needs. 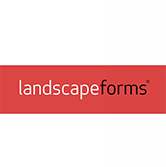 Landscape Forms is the industry leader in integrated solutions of high-design site furniture and advanced LED lighting. For more than 45 years they have produced site furnishings that help designers and other clients achieve beautiful, functional environments that enhance the experience of outdoor space. MooreCo has been designing and manufacturing classroom and office furnishings since 1950. Their goal is to provide furnishings which result in comfortable and stimulating environments where children and adults alike feel inspired. Products include.. visual communication boards, desks and tables, seating, lounge seating and technology – audio visual equipment. The National Public Seating® logo represents the Superior Strength, Quality, and Value our customers have come to expect of the NPS product line. 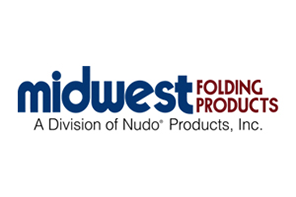 The NPS® Catalog brings you the nation’s most complete In-Stock Quick Ship line of Folding Chairs & Tables, Stack Chairs, Science Lab Tables & Stools, and Performing Arts Furniture, offering a solution for almost every institutional furniture need. Penco metal lockers have proven to be some of the most popular and best selling on the market. Penco lockers are constructed of prime grade steel and are available in single, double, triple, and multi-tiered styles. Penco metal lockers are essential in providing safe, secure storage options. Their durability and aesthetic appeal make Penco steel lockers particularly well-suited for any educational or business environment. UltraSite’s brands of site amenities ( tables, benches, seating ), shades, shelters, dog parks and outdoor fitness products, are the superior choice that provide a low maintenance, durable solution for any outdoor recreation location. Ultra Play has been standing behind the commercial grade products for over 15 years. 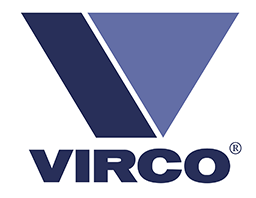 As America’s leading manufacturer and supplier of furniture equipment, Virco’s primary customer base is Education including; preschool – 12th Grade; junior and community colleges; four-year colleges and universities; trade, technical and vocational schools. In addition, Virco is also a leading furniture and equipment supplier for convention centers and arenas; banquet and meeting facilities; federal, state, county and municipal government facilities; places of worship. For more than a century craftsmen have been carefully constructing Waddell Display Cases in the time-honored tradition of Waddell quality.Thousands of Waddell cases from free-standing and wall-mounted pieces in hardwoods to metal finishes have been selected by schools, businesses, and institutions to promote enduring pride and enthusiasm for their most valued accomplishments. The Waddell brand of display cases has been part of the Ghent Manufacturing family of brands since 1986.